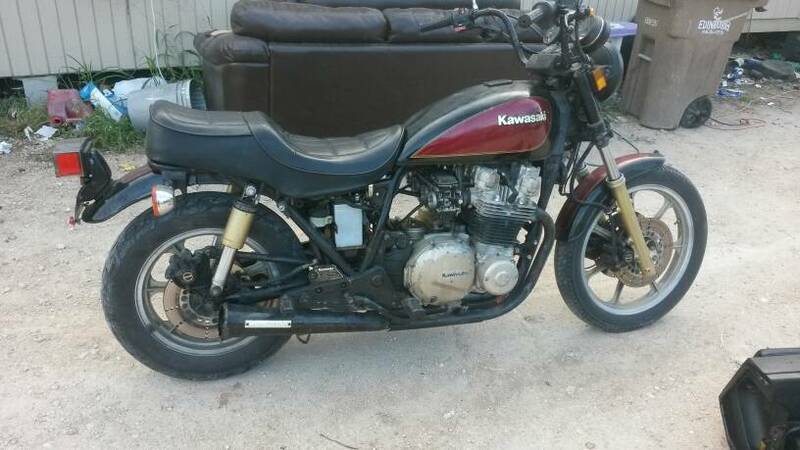 I have what i believe to be a 86 kawasaki kz1000-1100 not sure on the type was looking to see either a build sheet or something that could help me out identifying what exactly i have based on the VIN number. Check on this site, click on the various KZ 1000 and 1100 links and most of them list the frame and engine serial numbers that a particular model have. For some reason I want to say Zn1100 Spectre based on the shocks and rims. Not too many I-4 cruisers left in the Kawasaki line at that time.